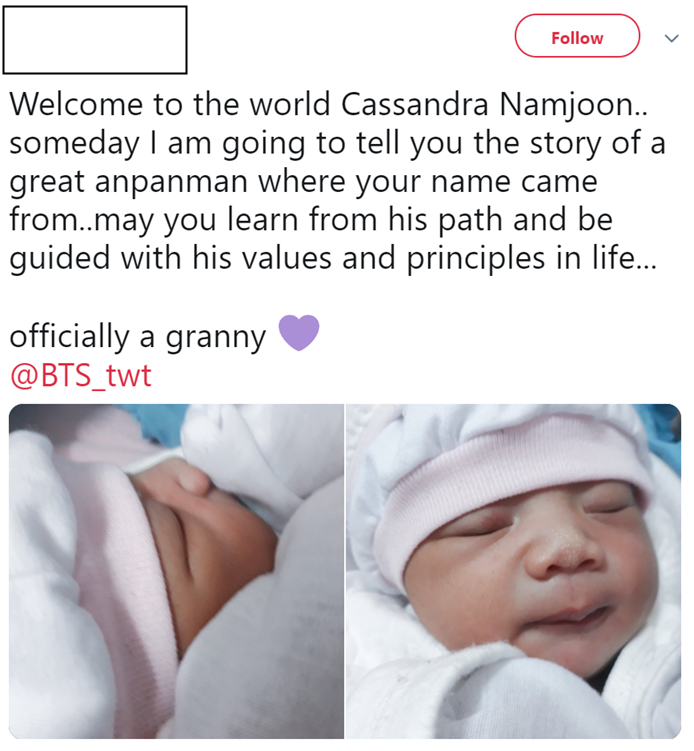 A baby named Cassandra Namjoon made its way to my timeline on Twitter recently, so of course I had to cover this amazing news. People on Twitter are freaking out about it, but it’s actually not all that wild because that baby’s name is nothing compared to the king: GD SANDER. 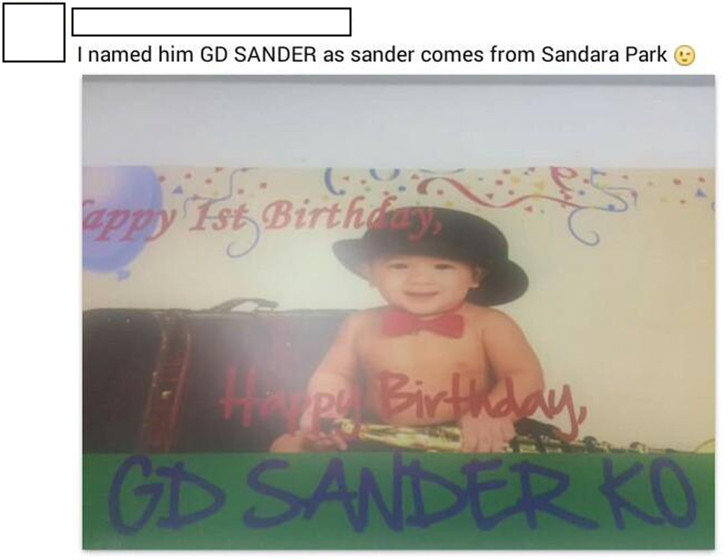 So nothing will ever top the Daragon shipper baby that combines G-Dragon and Sandara into one male name somehow, but now that the RM baby is here, clearly it’s time to ship the two together for the future of humanity. 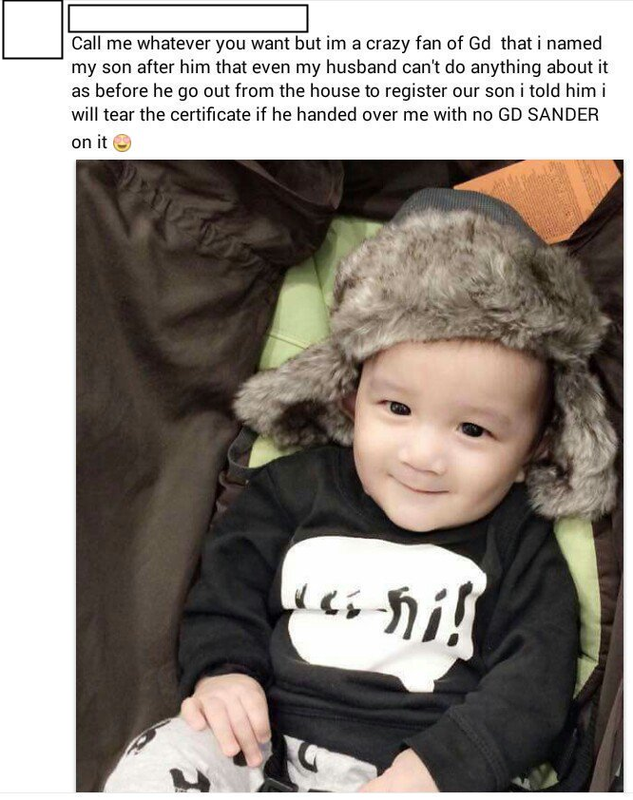 I know I know, you find shipping toxic, and it’s especially gross when they’re underage, much less babies. But we have no choice in the matter at this point. We’re rooting for destiny here. Are these even both for real? It doesn’t matter you fool, GD Sandrajoon is real in all our hearts now.